ConcordiaTheology.org is an online publishing outlet owned and operated collectively by the faculty of Concordia Seminary, St. Louis, Missouri. As such, the faculty as a whole retains final control over the website’s content and editorial policies. On a routine basis, editorial oversight and content management are the responsibility of the Managing Editor, who in turn reports to the Dean of Theological Research and Publication (DTRP). 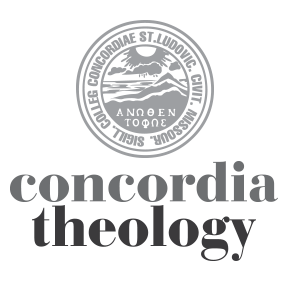 ConcordiaTheology.org exists so that members of the faculty of Concordia Seminary can engage relevant topics of interest in a timely way, in keeping with the Seminary’s mission to provide theological leadership to church and world. To this end, contributions on a wide variety of subjects from any member of the faculty, and responses to those contributions by the community at large, are encouraged and welcomed. It is expected that submissions will be thoughtfully creative, critically engaged, and respectful in tone. Recognizing the excellence of the faculty, it is assumed that submissions will be (a) professionally and academically competent; (b) theologically sound; and (c) appropriate to the mission and goals of Concordia Seminary. It is not expected that everyone on the faculty (much less everyone in the church) will always agree with the views expressed in every item that is published through ConcordiaTheology.org. In fact, the website provides a forum for the church to discuss controversial questions and issues with good faith, civility, and respect. Those who contribute to ConcordiaTheology.org write at their own discretion. Generally, material submitted for publication through ConcordiaTheology.org will be reviewed by the Managing Editor. The Managing Editor may, at his discretion, ask the DTRP and/or other faculty members to review an article. In some cases, additional peer review may be solicited. In case of differing opinions about whether a given item will be published, it is expected that the disagreements will be resolved in a collegial way through discussions between author, editor, and other involved parties. ConcordiaTheology.org does not pay royalties or honoraria for any material accepted for publication. Authors of items published through ConcordiaTheology.org retain copyright to their work, and by their submission grant permission for the material to appear and be archived on the website indefinitely. In the event that the material is subsequently published elsewhere, it is asked that such publication include a notice of the original appearance at ConcordiaTheology.org. Although ConcordiaTheology.org is a free and open community and comments on published content are welcome, unsolicited submissions by outside authors (i.e., not members of the Concordia Seminary faculty) are ordinarily not accepted, though an outside author may occasionally be invited to submit material in his or her area of expertise. In those areas of the website which enable readers to respond or comment, the Managing Editor retains the right to review all reader submissions, and to edit them for length or content. The website will be designed and maintained in such a way that anonymous submissions will not be accepted or published.